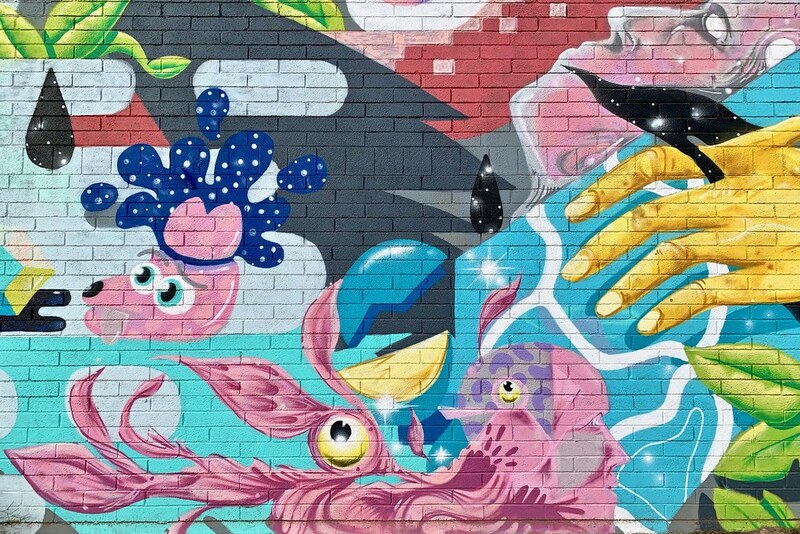 Here’s another one of Phoenix’s jaw-dropping murals — a portion of it anyhow. There’s a lot going on here, in what appears to be an underwater universe. Snapped this shot back in December.